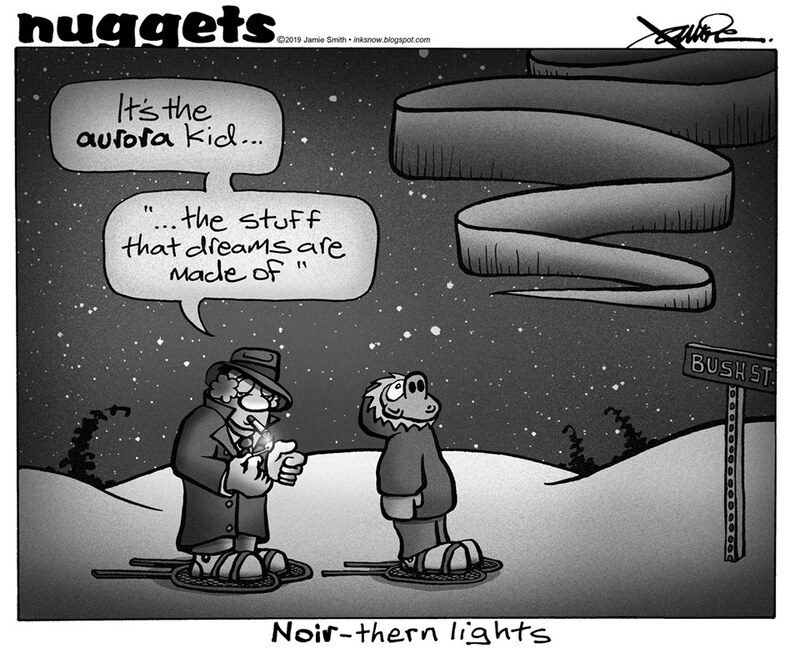 This entry was posted on Monday, March 25th, 2019 at 6:06 AM	and tagged with Alaska, northern lights, nuggets and posted in comic. You can follow any responses to this entry through the RSS 2.0 feed. One of these days, I’m going to see them for myself!! I hope you get the opportunity. To this day, the northern lights still manage to stop me in my tracks, when I see them dance across our sky.